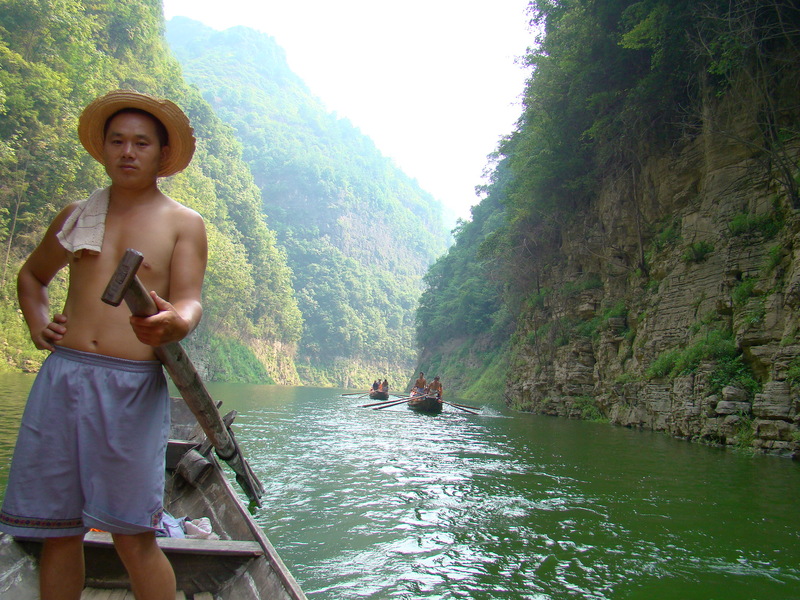 Floating down the Shennong Stream through the Gorges of the Yangtze River. Me and our fabulous guide Jay! 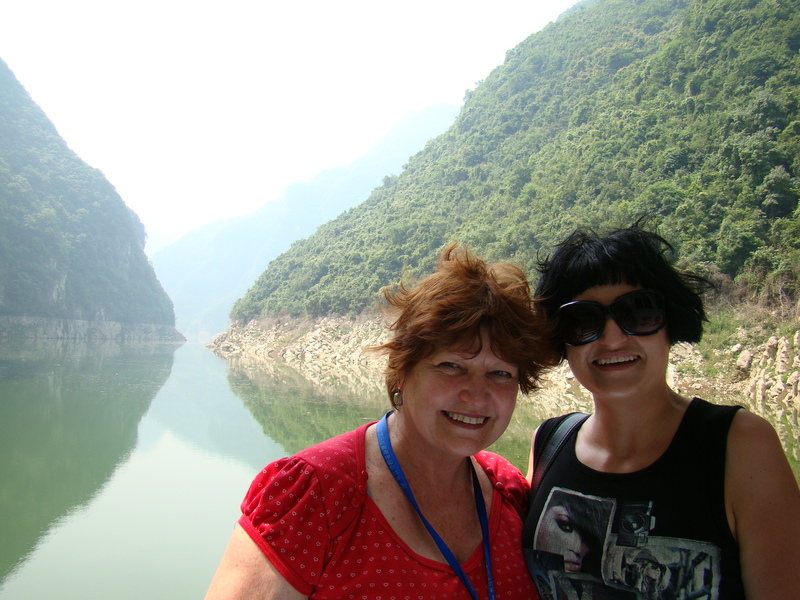 One of the highlights of our month long China Odyssey was definitely the 3 night cruise on the spectacular Yangtze River. 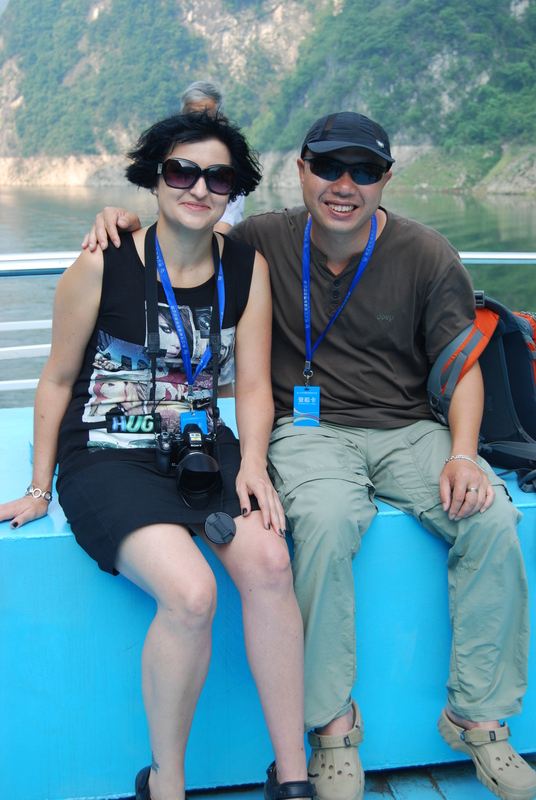 The first morning our ship anchored and we boarded a small ferry that took us deep into the Lesser Gorges. It was a very hot and humid day out but the breeze on the ferry made it bearable, unfortunately the haziness in the air wouldn’t go away which made taking photos a bit difficult. 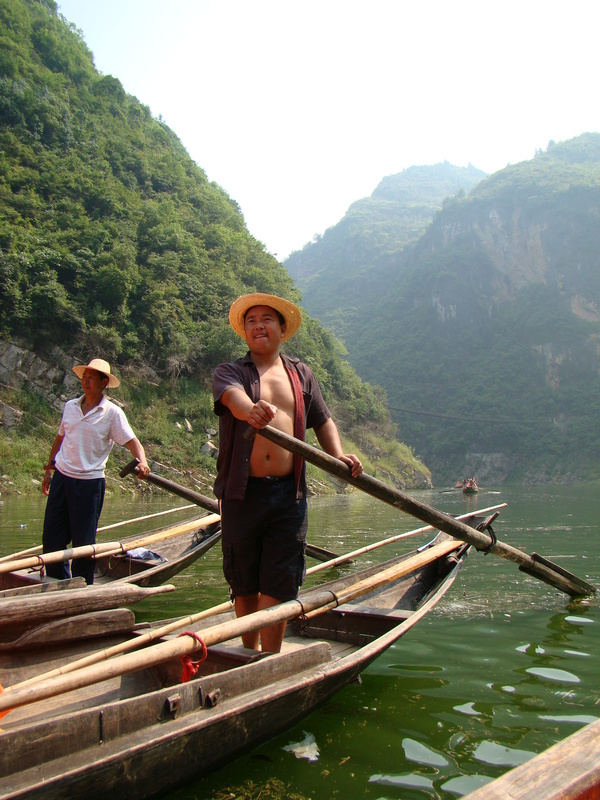 After an hours ferry ride we boarded small peapod boats that would take us down the Shennong Stream. These little boats used to be rowed by 5 guys but they have now reduced it to 3 rowers and one guy to steer the peapod boat. They all have amazing six packs as they spend most of their day rowing. 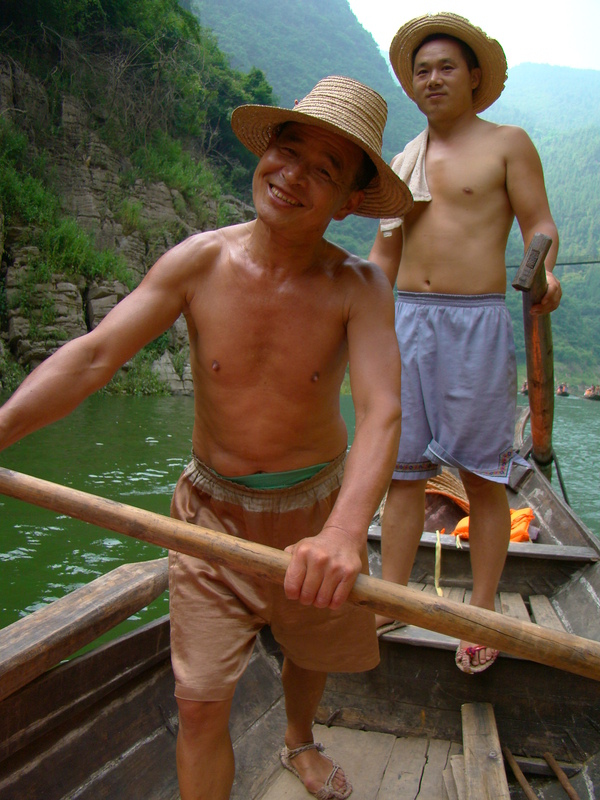 It takes them a few hours to row from their home village to the Shennong Stream where they spend the day taking tourists up and down the stream before rowing all the way back home again. 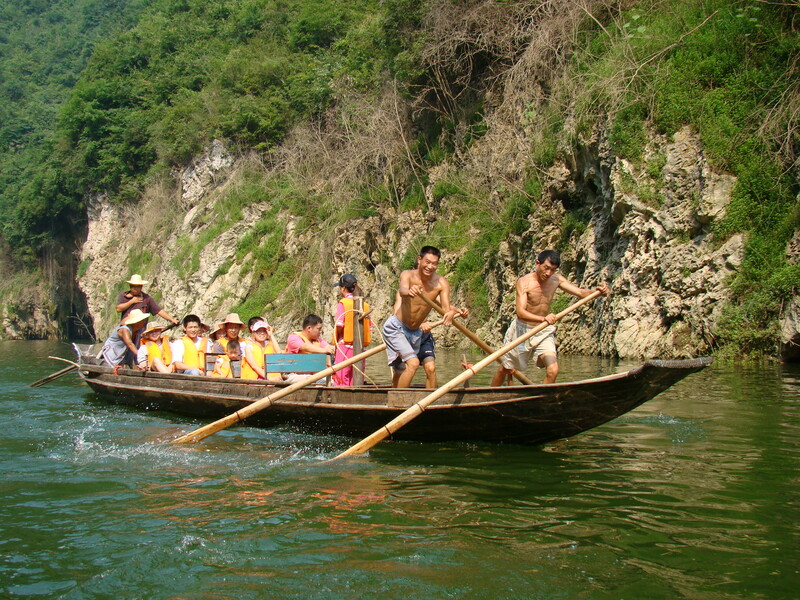 Shennong Stream is a left tributary of the Yangtze River, located in the Hubei Province of central China. 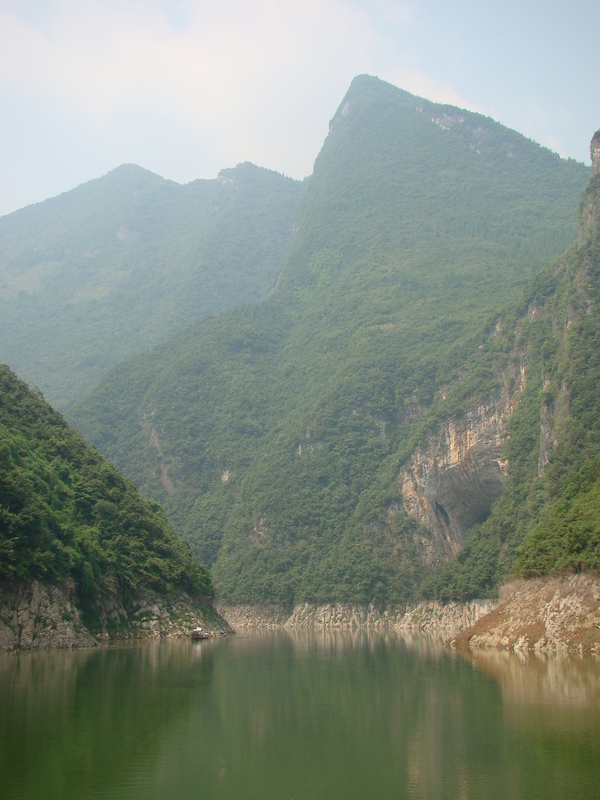 Originally the Shennong Stream watercourse consisted of a wild river flanked by almost vertical limestone cliffs; however, since the beginning of the construction of the Three Gorges Dam downstream on the Yangtze, the water level has risen approximately 155 metres at the mouth of Shennong Stream. The scenery was absolutely breathtaking. It was an amazing experience being in the small boat on the river with the cliffs rising up on both sides of us. The rowers are all muscle! The scenery of the two riverbanks was amazing and at some places the banks are only seven meters wide in the narrowest part. 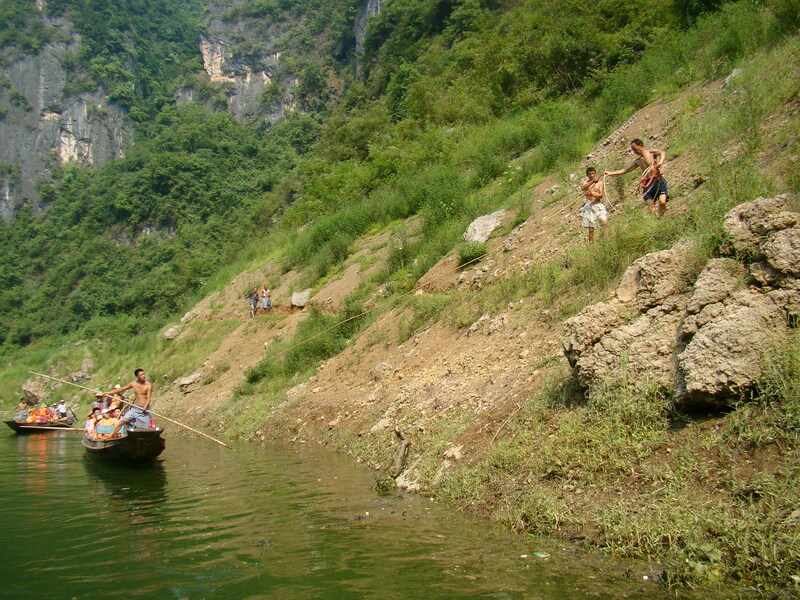 When we reached these shallow-stream places, the rowers jumped out and had to tow the boat upstream by rope. This scene has made the whole experience a unique one. We had a lovely local guide who even sang us some of their traditional songs as we floated down the stream. I did end up buying the CD as her singing did create a very tranquil atmosphere I would love to remember. 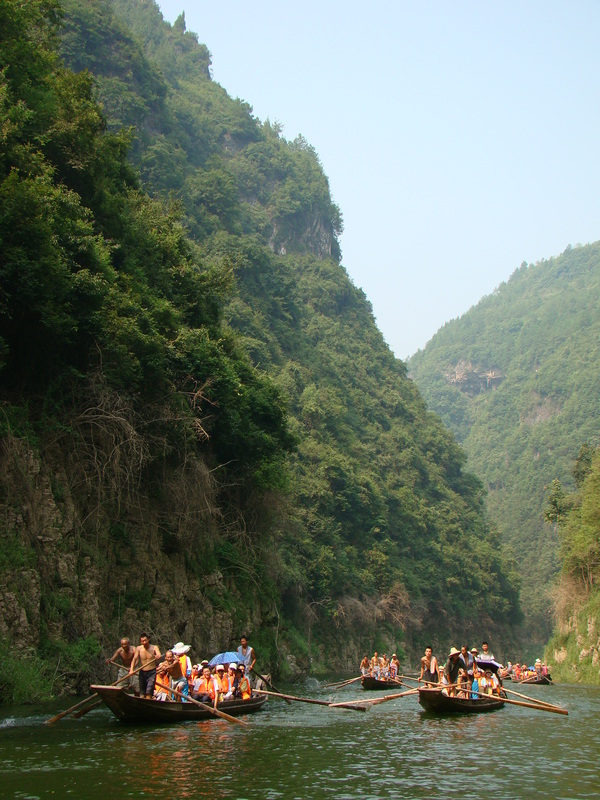 45 Responses to Floating down the Shennong Stream through the Gorges of the Yangtze River. Great photos! Looks like you had an amazing time! Thanks Kristen, we had a fabulous time, it was definitely an amazing cruise! Thank you, the cruise was definitely amazing and the views were breathtaking! Hope you get to experience this beautiful place someday. Thanks and welcome to my journey Sreejith Nair. Thank you! I think that before the water rose the guys spent longer stretches dragging the peapod boats by rope than what is needed now. Lovely photos! Looks very peaceful and serene! Thank you! It was a very peaceful morning and I would have loved to spend the whole day drifting down the stream just admiring the surroundings. Incredible. So appreciate you taking us along on your journey so we can enjoy it vicariously. Thanks for joining me on my journey Wendy! Can’t wait to see where we visit next! Have a fabulous weekend. beautiful place! What an awesome adventure! Thank you!! It was amazing actually getting to be amidst all these cliffs that I have seen portrayed in movies only. What beautiful photos, it looks so peaceful and calm on the river. Thanks! It was a very tranquil and peaceful experience….a great way to spend the whole morning. Gorgeous view! What an adventure. It was a fabulous adventure Amy!! Loved that we got to be rowed down this fabulous river in their traditional peapod boats! 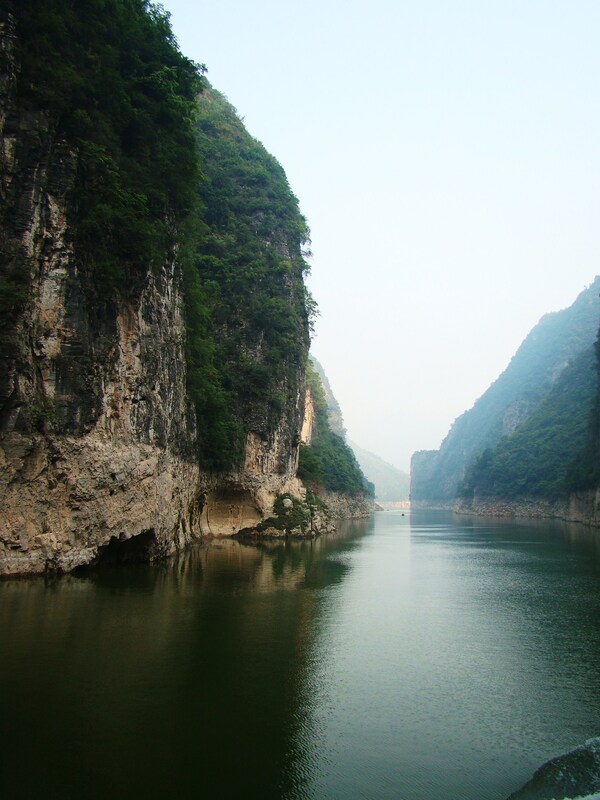 What a lovely trip down the Yangzte River and what stupendous pictures of those towering cliffs. Thanks Chrisstov! To think the River had risen with 155 meters in the last couple of years, those cliffs must have been even more imense from the bottom! Thanks Celeste! I think the best part was that I got to share this amazing sight with my mom! It was amazing Ruth! You would think that or that they would bury their dead not entomb them in suspension over the water of the gorge! I think it must have been very hard work to get the coffins up there and make sure they are secure. Great images and a wonderful story. Thanks Kongo!! It was such a beautiful place that I went a bit overboard with the amaount of photos I took, but glad that some came out good. Thank you! It was such an amazing experience and I am glad that I get the opportunity to share this adventure with you all. Thanks Sue. 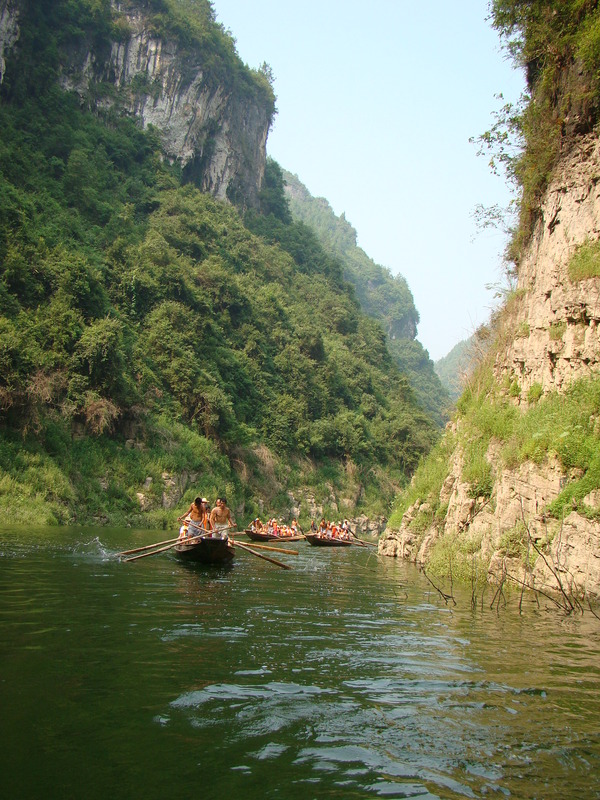 It was such a peaceful day floating down the river with the guide singing some of their traditional songs….. I sadly missed this when I was in China…next time! 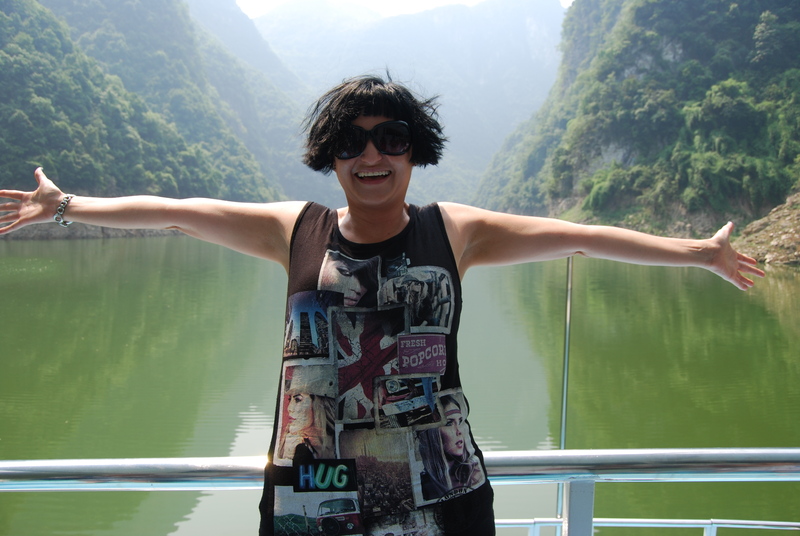 You should definitely go on a Yangzte River cruise next time you are in China. The scenery is absolutely breathtaking! Thank you! Floating down this beautiful stream was definitely one of the highlights of my adventure! Thank you! It was such an amazing day that it is quite hard to put it into words.